It’s hard to believe we are wrapping up 2016! this year has been the year of change for me! This time last year I had just launched this blog. I was mentally preparing my self to run my sign shop and feeling less than jazzed about creating a new collection for the new year and putting in both the mental and physical energy it takes to run a successful handmade shop. 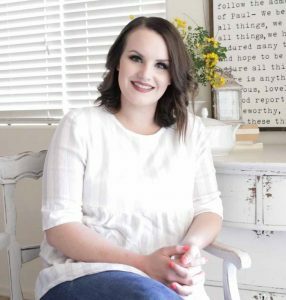 I knew I wanted to close my shop and blog, but financially that didn’t make sense and I knew it was going to take some hard work to get to my goal of closing my sign shop and be able to just blog. Looking back I see the Lords hand in all the little details. I had a major God moment when I launched this blog in November of 2015. It was as if he was sitting in my living room telling me; “Haley do it. just start a blog and do it now’. While I knew without a question I would do it. I felt reluctant to start knowing I couldn’t fully dedicate the time to blogging I wanted to while still running my shop. The thought of failure overwhelmed me. You see I’d blogged before with little to no success and that failed adventure is what led me to my handmade shop to begin with. Despite my fears I trusted the Lord and within a few days of that incredible prompting I launched this blog. Only now I can see how all the pieces of this year have fit so perfectly together to bring me to the last day of 2016 . Had I not started in November, my blog wouldn’t have had the time to mature and grow to a place where closing my shop doors would have been possible this year. You see growing any business takes time, but a blog is a kind of tricky thing the time line and ingredients are hazy. I wrote very few posts the first half of the year. 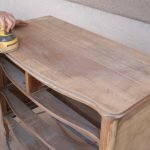 As suspected my shop took precedent, and while I didn’t write as many posts as I wanted too,?Something about the time and projects I had the time to accomplish and blog about ended up being just what I needed to get my feet off the ground. In June my husbands job changed he took on a new assignment that meant I had to drastically change the output of my shop, because he was not available to be my handy helper. Just like that moment I had in November, the Lord spoke to me again. This time as I sat with a mile of laundry at my Kitchen table. “Haley you’re done its time to close your shop.” This time I didn’t hesitate I jumped up from my table and typed out the words “CLOSING SIGN SHOP” and I printed it in the boldest font I could find and I taped that bad boy to my fridge. There was no looking back but I knew the comfort zone and the haven my shop had been would easily pull me back in if I let it. I needed to wake up and see those words every day as I finished making signs with the last of the wood that I had purchased. I worked feverishly all summer making hundreds of signs, silently knowing that each step of the process I finished would be the last time I did this. It was cathartic. I listened to “you be fore me on audible’ and painted in my garage while the AZ monsoons pelted down around me! I was nervous to share this news with my followers, and anxious for what this would mean financially. You see, at this point I’d still made next to nothing blogging and my shop income was the best it had ever been. But I had faith, and August 15th I announced my doors were closing and just 4 days later I sold my last sign. In fact as I finished the details on my very last sign, the machine I had built my business with died. Perhaps the Lord knew I’d run back to my comfort zone and so he just took that option right off the table. This is when the magic began to happen. Faith is just that:?seeing is not believing, believing is seeing. I trusted the Lord would provide a way and it wasn’t until I listened and put those promptings to action that he really showed me the way. The days that followed closing my shop, things began to happen. ?The months of hard work and posts that had little to no traction began to catch like wildfire and wouldn’t you know I made an income that was actually enough to not just take my family to dinner but purchase a months worth of groceries. The blessings have continued to pour in, and I am still in awe of how far we’ve come in this last year. I think the success of this year boils down to one little action I did last January. ?I think this action, ultimately guided me through the year with more success than any year previous. I wrote down my goals. I put some whoppers down on paper that I honestly didn’t think I’d achieve for years let alone in twelve months. I printed them out and I taped them to my desk where I work on every post for this blog to remind me where I was at then,?and where I planned to be by the end of the year. With those lofty goals staring me down month after month the Lord heard the desires of my heart and with every passing month he lead me where I needed to go. Not only did I check each of those little goals off on that paper, I completed and surpassed each one by the end of August. I’d like to challenge each of you to dream big, and take those dreams one step further and put them down on paper. 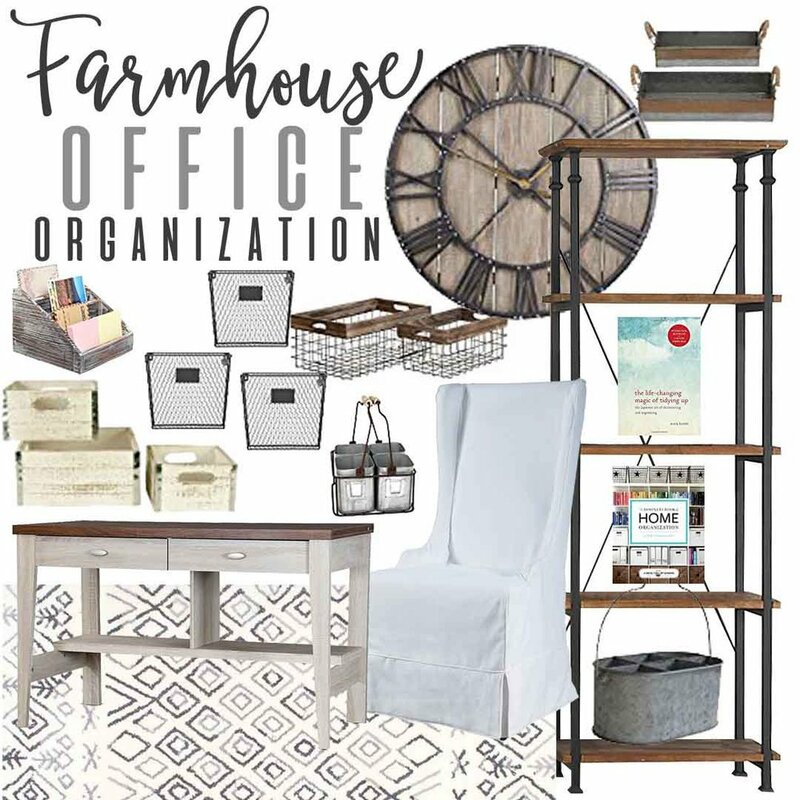 In the last couple weeks the Organization printables I created last year ?have had many people asking for a new 2017 version. You better believe I have a goal sheet included in this set so once you’ve printed this planner and organization printable set you pull that one out first and fill full of your hopes and dreams for 2017 and then go out there and crush them! 2017 is your year go claim it. 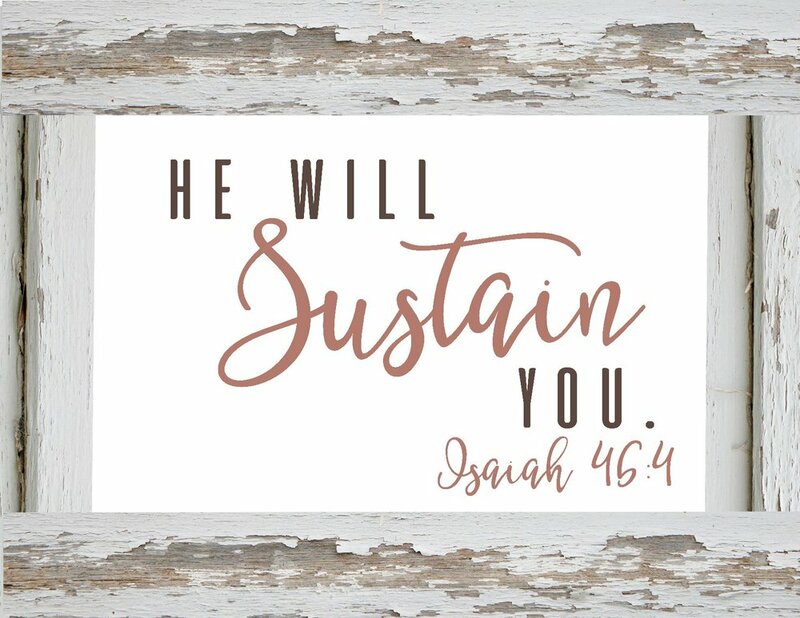 Additionally I have created 12 bible verse prints to go with each month of your planner! I hope they inspire and encourage you month after month!!? CLICK TO DOWNLOAD JUST THE BIBLE VERSE PAGES? CLICK TO DOWNLAOD THE PLANNER PAGES AND CALENDAR? Love this so much! I’m going to print these out and congrats on a wonderful year!! thank you so much Chantell! Hey Barbara I just updated the download so that you can now print them out! sorry about that! I love the scripture prints, but I noticed that Esther and Isaiah are misspelled. I would love to have an updated version! Thanks for letting me know! I just updated them! why is the wood frame in the down load? Can I get a link to download without the frame in the picture? These prints are made to go in with our monthly planner one for each month hence the reason the frame is included as part of the print. But if you want to actually frame them you are welcome to crop the frame out. I’ll try and update them so there is an option to print without the frame but it may take a little while to get that all set up! It sure was! Just fixed it and updated the downloads! Thanks for letting me know! I love these! 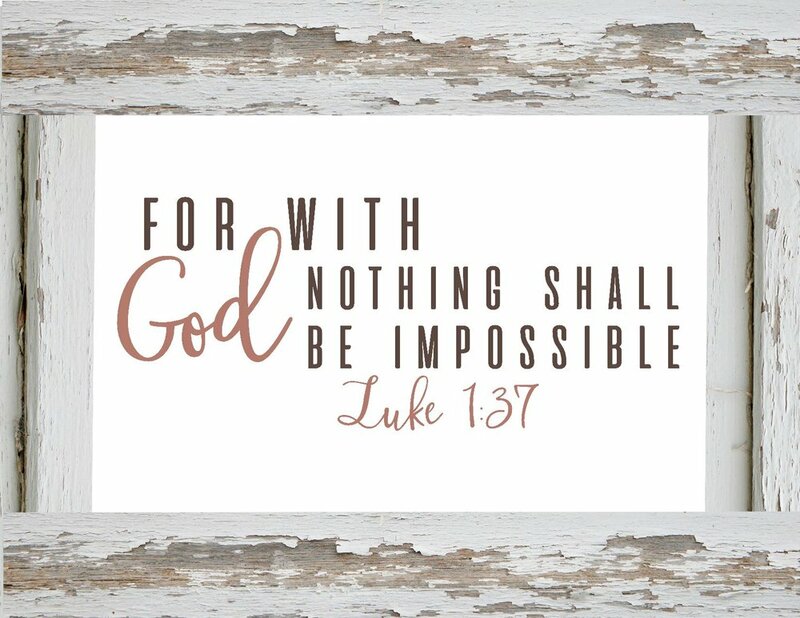 What is the name of the cursive font used in the Bible Verse Prints? These are beautiful! I found you via Pinterest. Thanks so much! Hello, I love the verses…Does "Matthew" just have one T on purpose? Not sure if some versions of the Bible spell it that way. Thanks. I never normally comment about the sites I choose but you have no idea how much this means to me. My husband died in October and I have been lost in my direction. I am normally and naturally a planner and have been all my life. Your blog has been an answered prayer. Thank you for sharing your experience over the past year and all that you share. It is a blessing to me. You may also want to update the spelling of Matthew. 😉 These are beautiful and inspiring – thanks for making them available! Thank you so much for sharing what you do for free! I love the verse printables to go with the organizational pages. It will be perfect for me and for my girls!! I love your style. I was looking for some good things to help me organize. These are amazing! I tried to download planner but it won’t work what am I doing wrong? Thanks! i love the cursive font – what is it? One of the bible verses has the wrong chapter. 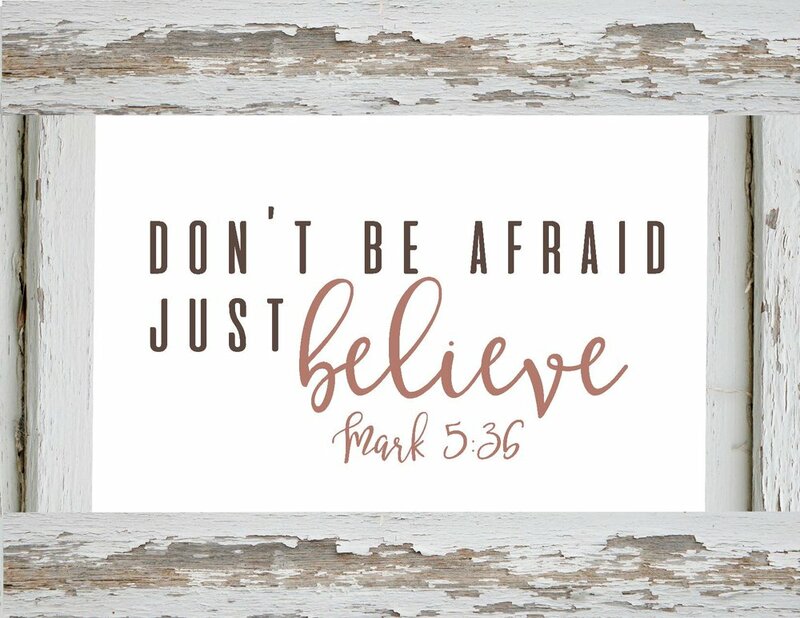 What font did you use for the bible verses? The handwritten one is beautiful! "t" (at least to keep with the Biblical spelling). 😀 Thank you so much for sharing these! Thank you for sharing. I’m inspired and encouraged. 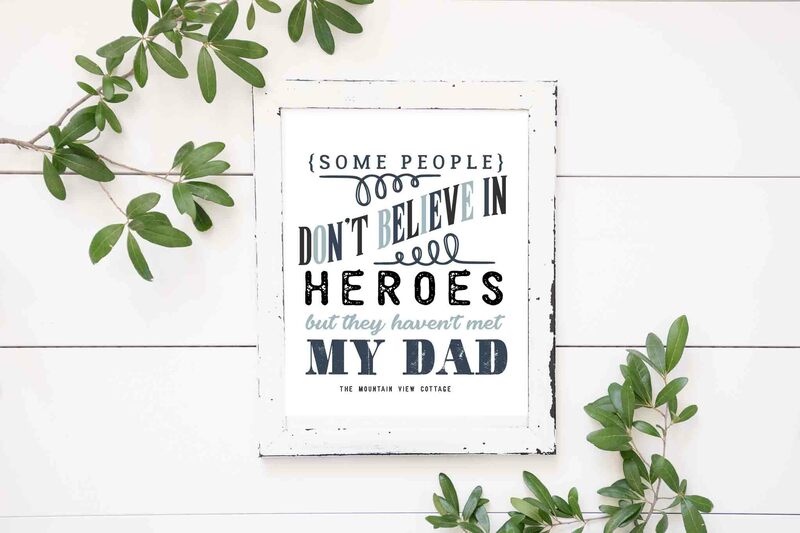 Can you tell me what font your using? I LOVE IT! It’s the cursive one that is used on the scriptures. THANK YOU! these are all great!!! 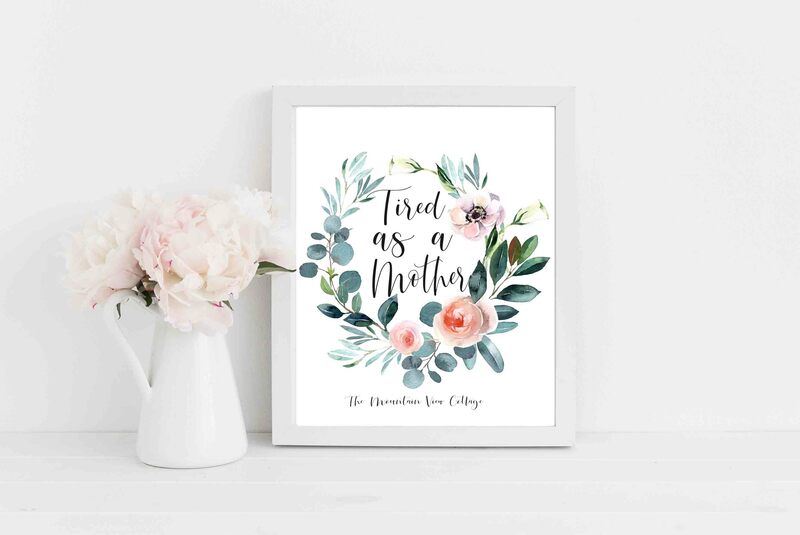 These are beautiful, but the apostrophe needs to be removed from the Ecclesiastes print. It’s = it is, Its = possessive. I want to thank you for sharing your heart and your struggles. It was a great encouragement to me! Hi Haley! Esther is spelled incorrectly. It needs an h in it. 🙂 I love that verse! Thanks! You and your works are God-sent… love ’em! Were you able to do the prints without the border? I pray God blesses you as much as reading the Word in these signs has blessed me ! Hi Haley! What a great blog post! Your life seems similar to my past few years. The Lord told me to quit my profession of being an Optometrist for the past 13 years to stay home, start a blog, and sell crafts. I have never regretted the decision or looked back! Everyone thought I was crazy, but when God tells you something, you have to listen and my life is much happier now! I’m glad you listened too and His timeline fell into place! Thank you so much for the printables! I am going to use them to decorate for my church’s Ladies Night Out so every table has two of them on it. I tried downloading the scriptures but all that shows up is static. Is there anyway to fix this? I absolutely love these prints. LIllian I just changed the way you save and print these files you should find it much simpler just refer to the updated instructions at the bottom of this post! congrats on all your accomplishments:)! And thank you for the opportunity for the free scripture prints. Unfortunately I can not (or me just not knowing the secrets) download them. It has me installing all these apps to my computer first, but then still will not take me to where I can find and print them? can you help me please they are awesome! Thanking you in advance. I have just recently updated how you save these files making it much easier to print! you will find the new instructions at the bottom of this post! You must be on a computer to save them as they wont work on a Mobile device! I hope that helps! Hi! I love your quotes and would love to print them and hang them on my wall but I can’t download them, even following your directions. Is there another way to download them? Thank you for sharing. I’m inspired by your story of moving in faith. Hello! I have recently Updated the way you save the files so that they are much simpler for you to print out! You can find the updated download instructions on the bottom of the post! You must be on a computer for it to work it wont work on a mobile device. I hope that helps! Thanks so much for you kind words as well! I LOVE THE BIBLE VERSES!! I love but cant seem to get the calendar. Can you help? Thank you. I love these.. 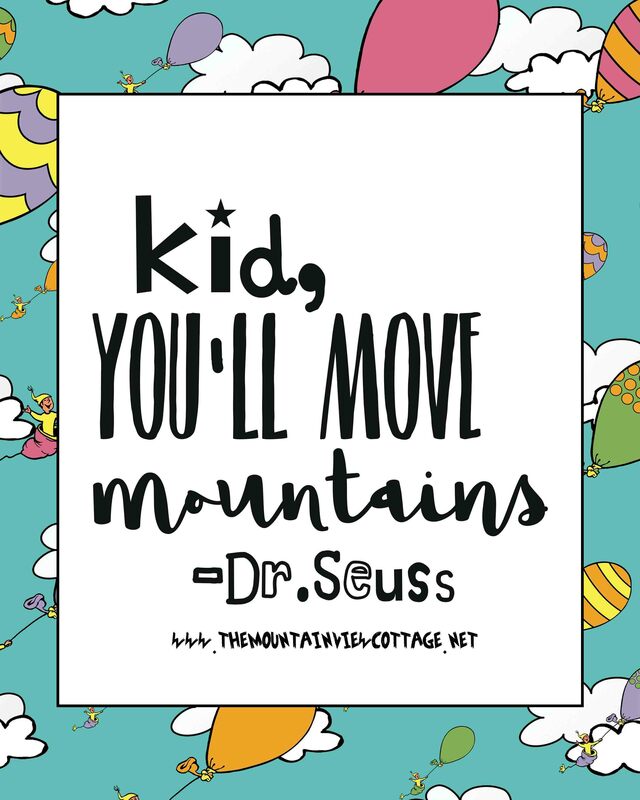 I love these prints and cannot wait to print and use in my home and classroom:) I really like the month prints but can’t seem to find them to save to print. Am I missing them? Thanks so much! Hello, I was wondering if you did the calendar for 2017? Thank you so much for these beautiful printables. What a wonderful way to share your love of God. I can’t wait to print and frame a few! I believe that Esther is spelled incorrectly. 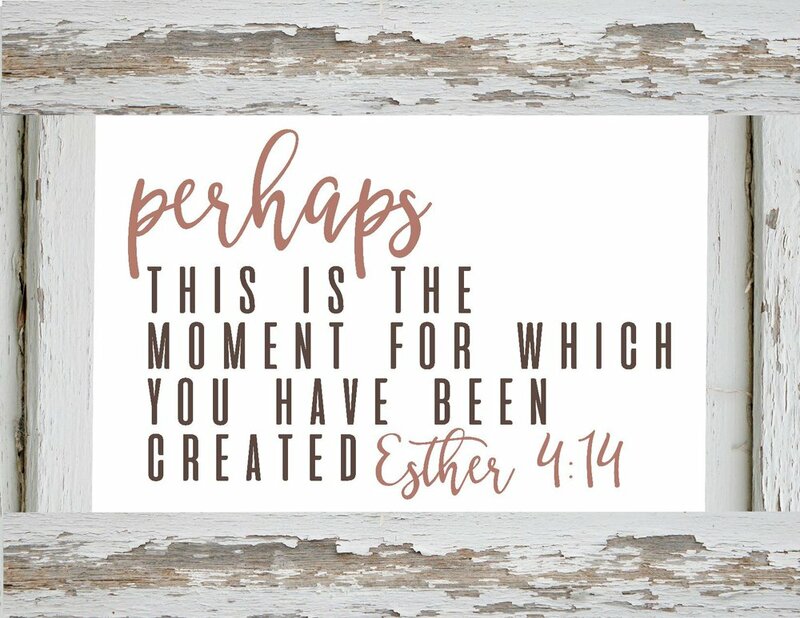 I really wanted to print this one because my mother’s name was Esther, but I would like to be able to correct the spelling. Thank you!… Getting married in December in our home and plan to print and show off all around our home. Prints are gorgeous, but on the Ecclesiastes sign the apostrophe needs to be removed from its. It?s = it is. Hi! Love these things! Will there be a set for 2018? Your story inspired my heart so much. Thanks for sharing your journey ? I love these. I did notice Matthew was spelled with only one ‘t’. Are you able to fix that so i can print them? The one that says "everything is beautiful in it’s time" should be "in its (no apostrophe) time." Otherwise, it means "in [it is] time."